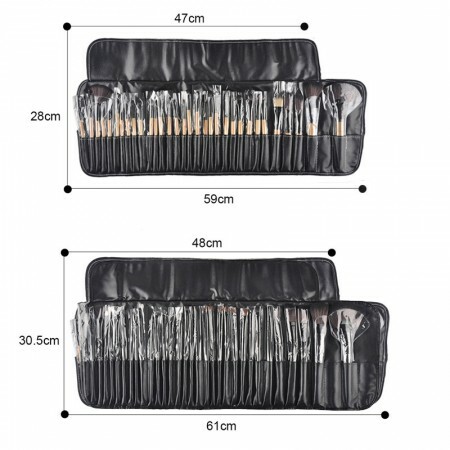 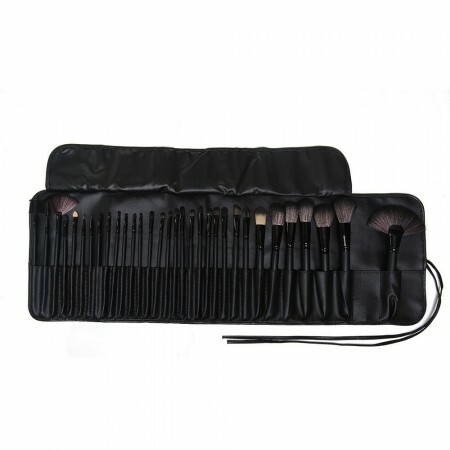 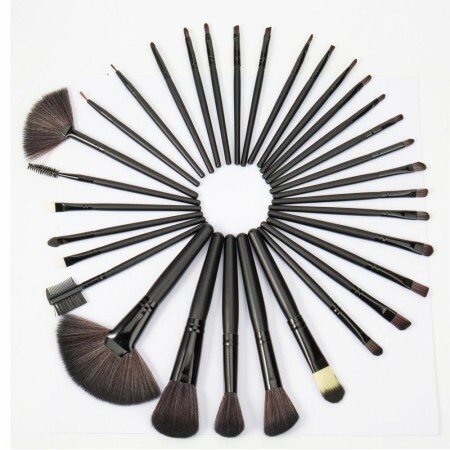 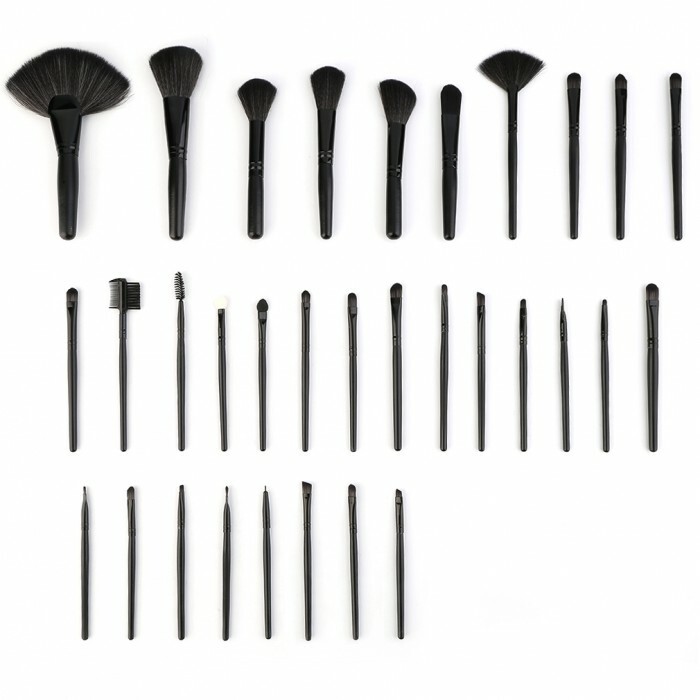 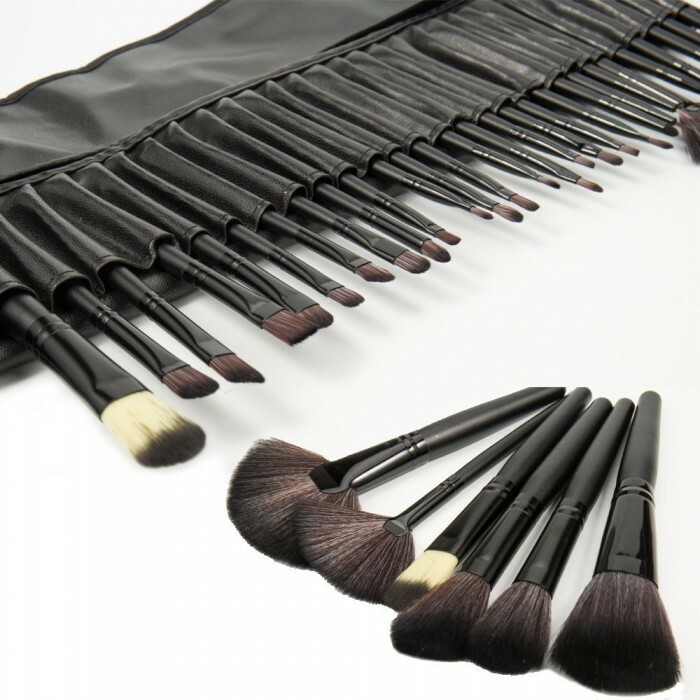 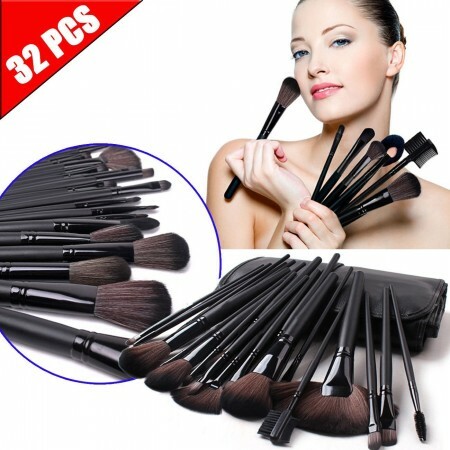 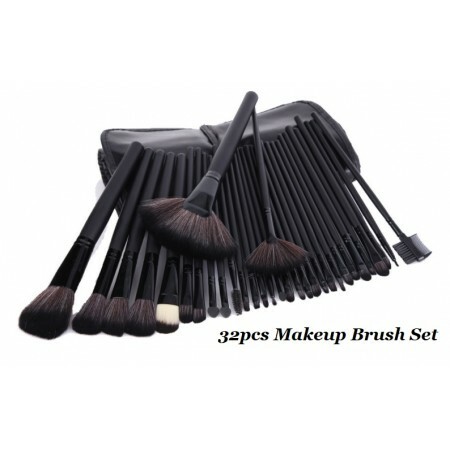 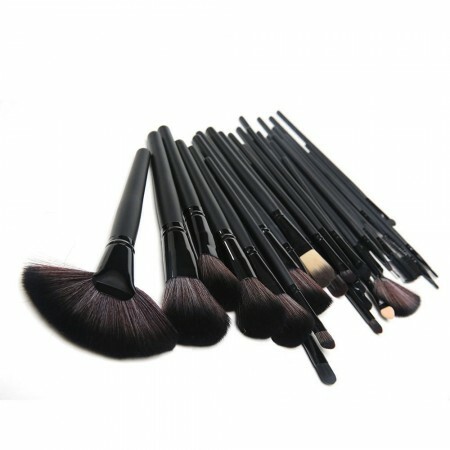 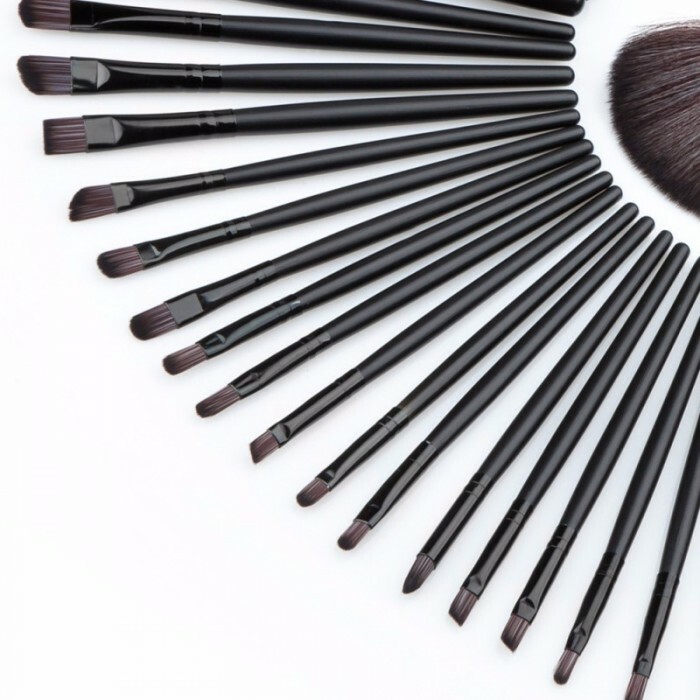 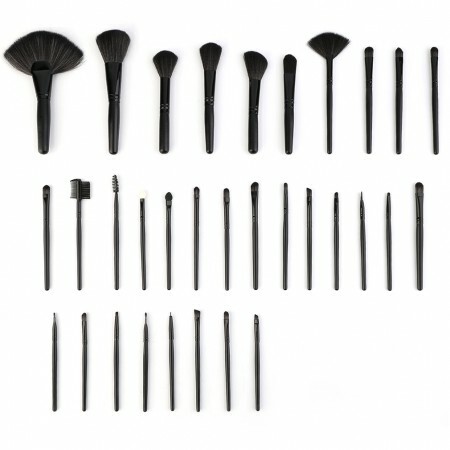 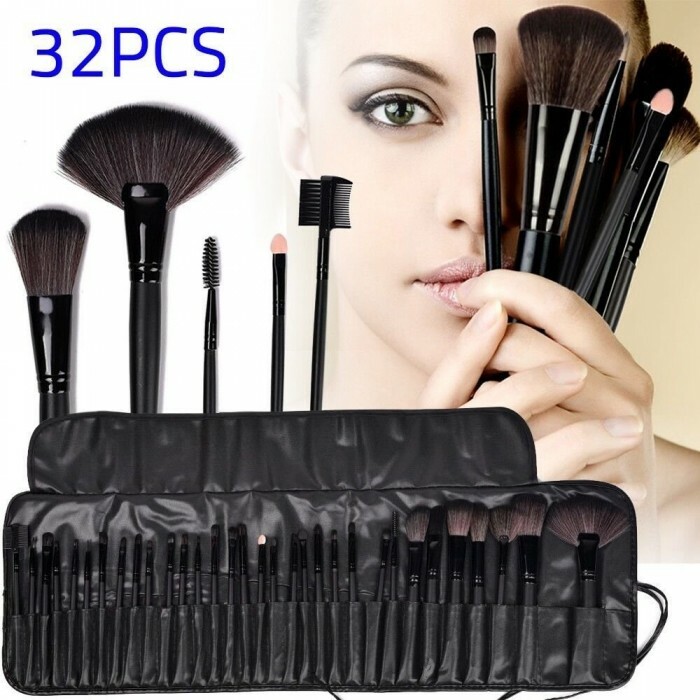 The 32pcs Makeup Tools Brush Set is a brand new product. 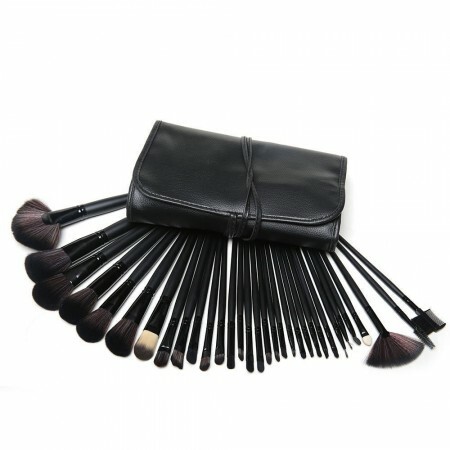 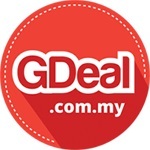 Its sticks are made up of solid wood with black colour. 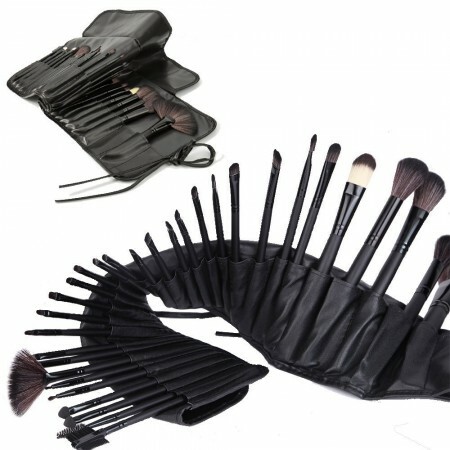 It is very dazzling and amazing! 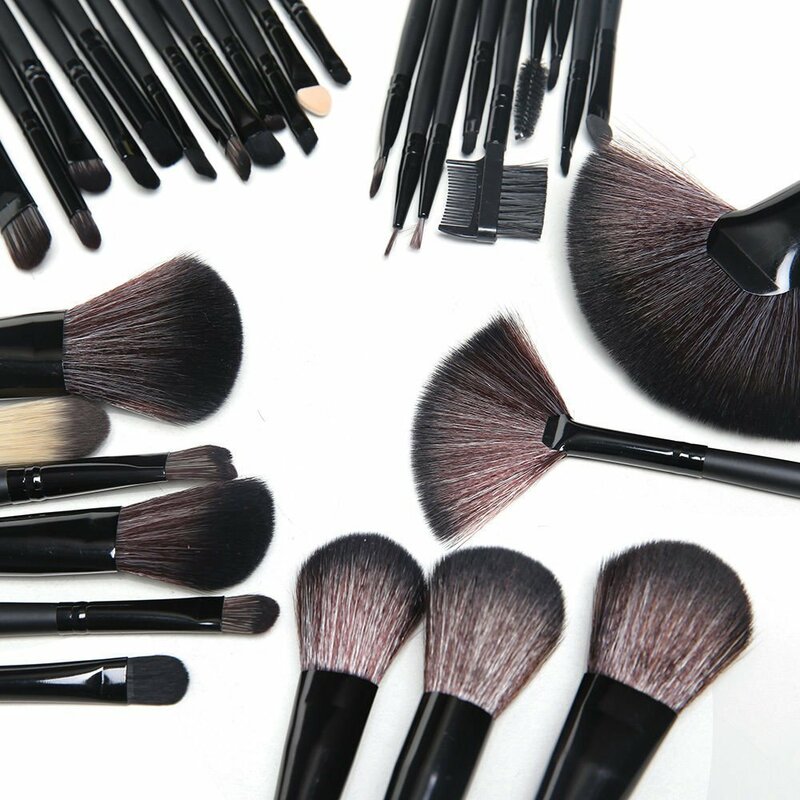 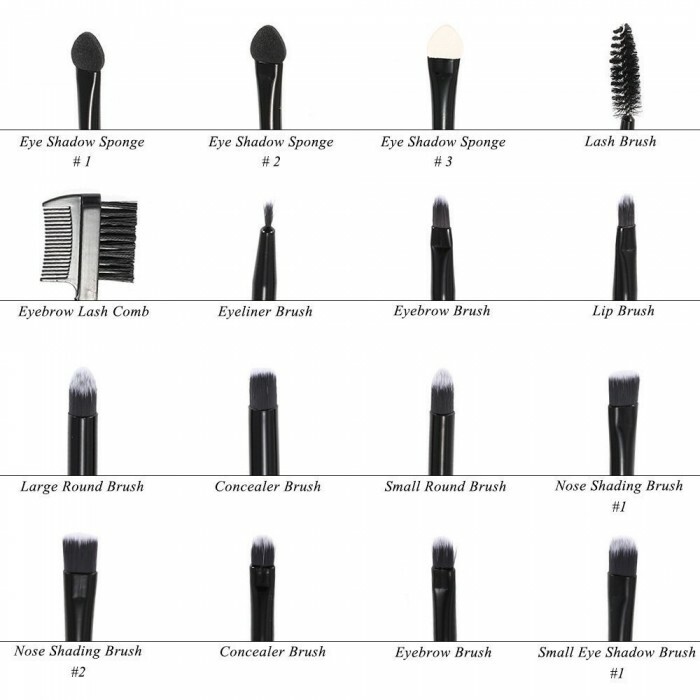 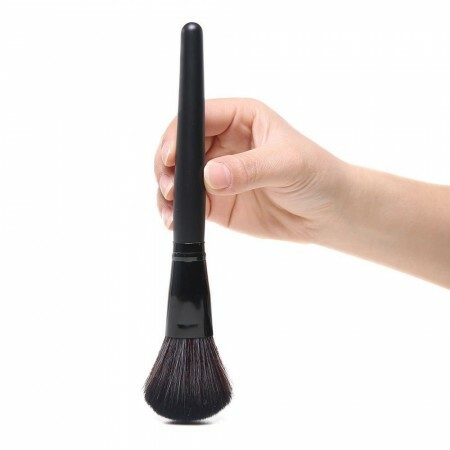 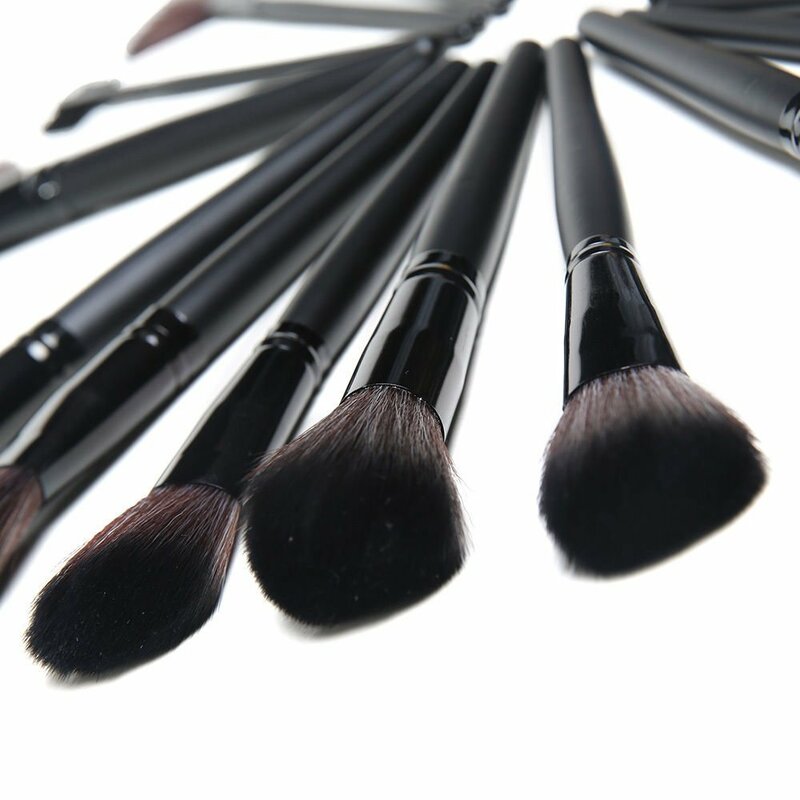 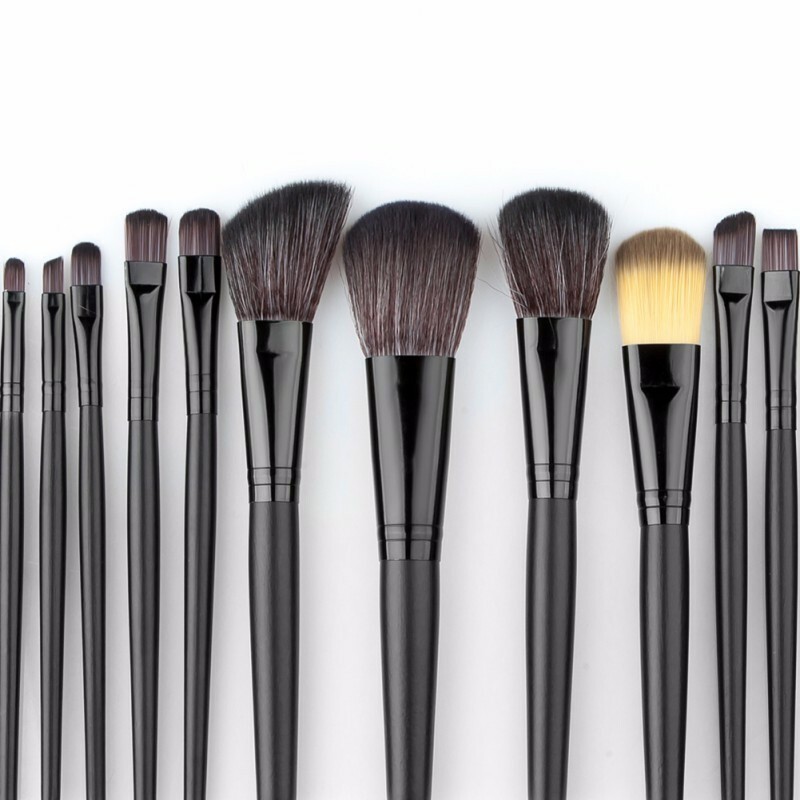 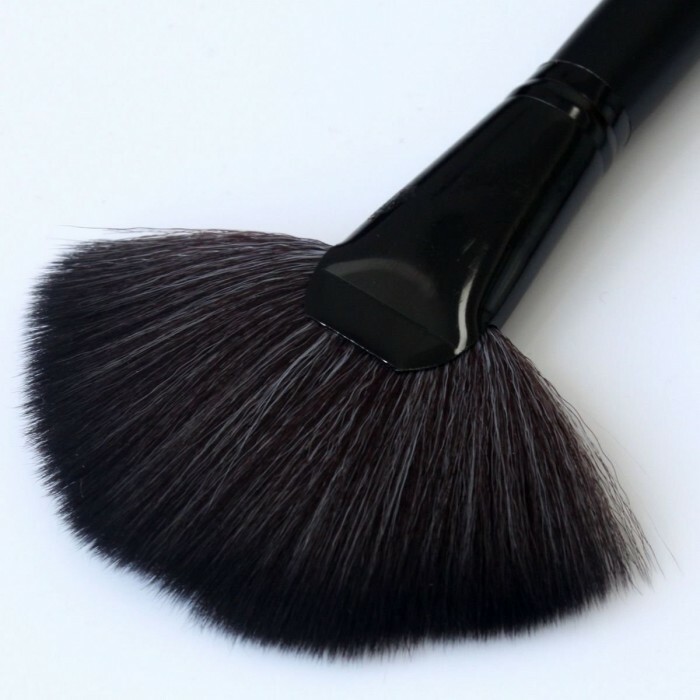 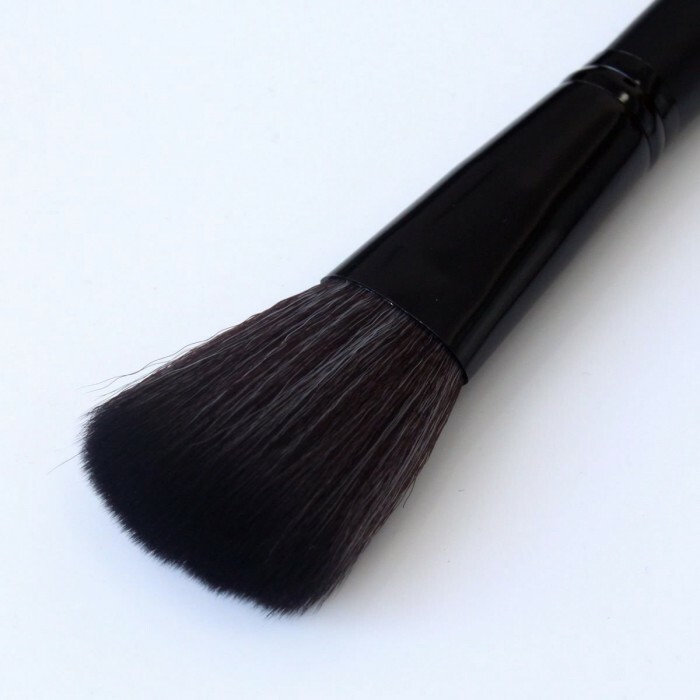 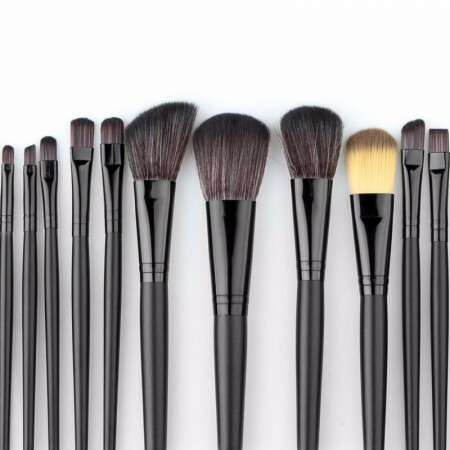 There are altogether 32 kinds of brush’s heads for different makeup style, applicable for powder, blush, eyeshadow, eyebrows, and concealer and so on. 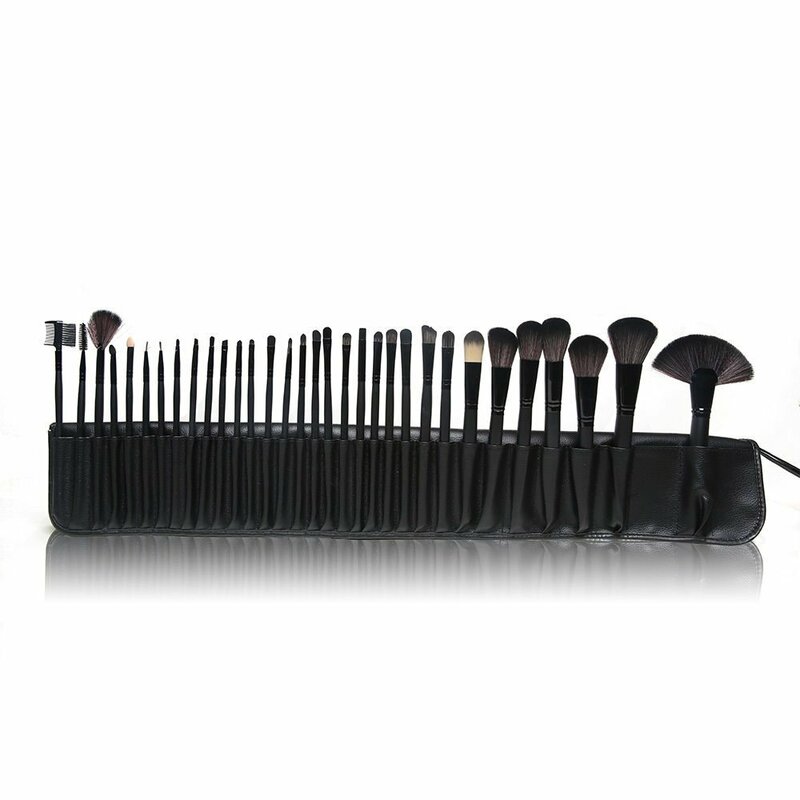 The fine brush is so comfortable to use and you can enjoy a professional makeup experience using this set of makeup brush! 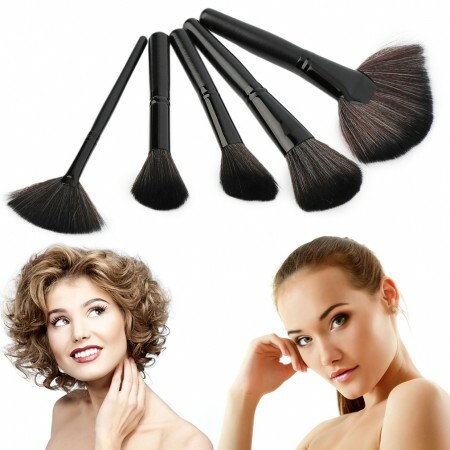 Provide superb ability to hold powder, pleasing for your skin. Beautiful, durable and comfortable to use. The high quality leatherpouch bag with small size and light weight is well-designed for holding all brushes, making your dressing table neat and elegant. STEP1: Insert the cleaner. 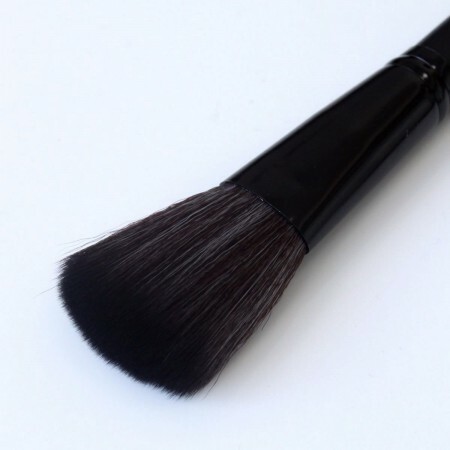 Clean brushes with detergent. STEP2: Clean it gently. 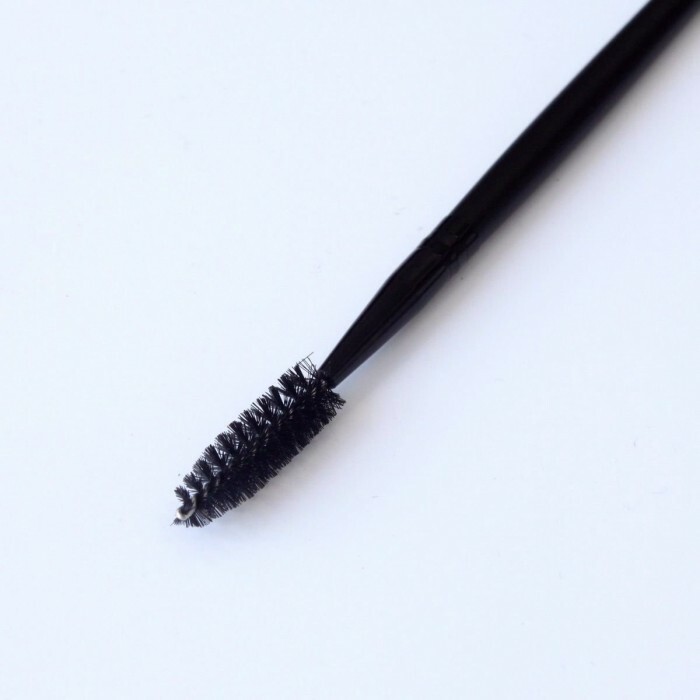 Rinse the bristles thoroughly under running water, apply a small amount of gentle shampoo to the bristles and work into; rinse until no paint from old makeup remains on the brush. 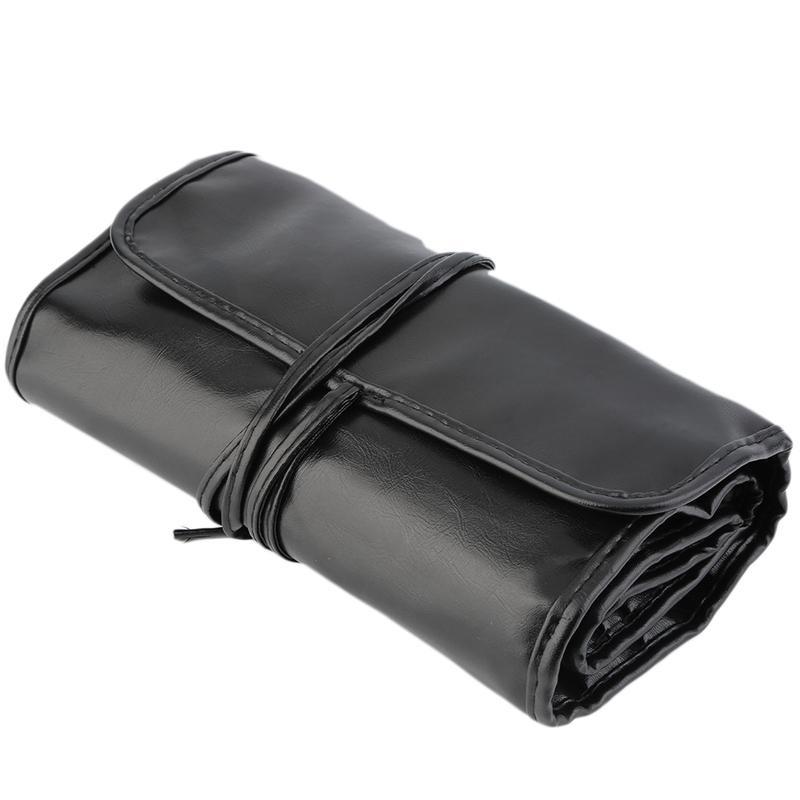 STEP3: After cleaning, put a towel or paper towel on the table to absorb moisture, then dry in the shade. STEP4: Let the brush air dry, please do not dry it by blower to prolong the life of the make-up brushes. There might be the odour of brush or glue as the storage and transportation. Please clean the brush before use. 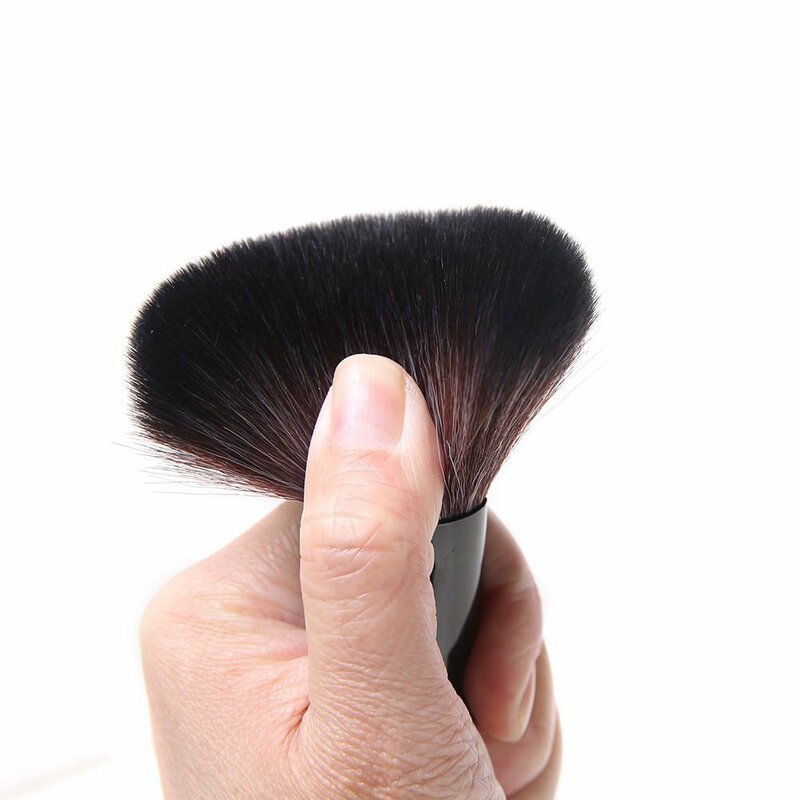 Cleaning method: Select some mild lotion, such as baby shampoo, shampoo or other mild lotion for cleaning.